Ashley on Blagdon Road next to one of the new signs. The Council’s environmental protection team were out cleaning up Rabson’s rec in August as part of their dog fouling campaign. 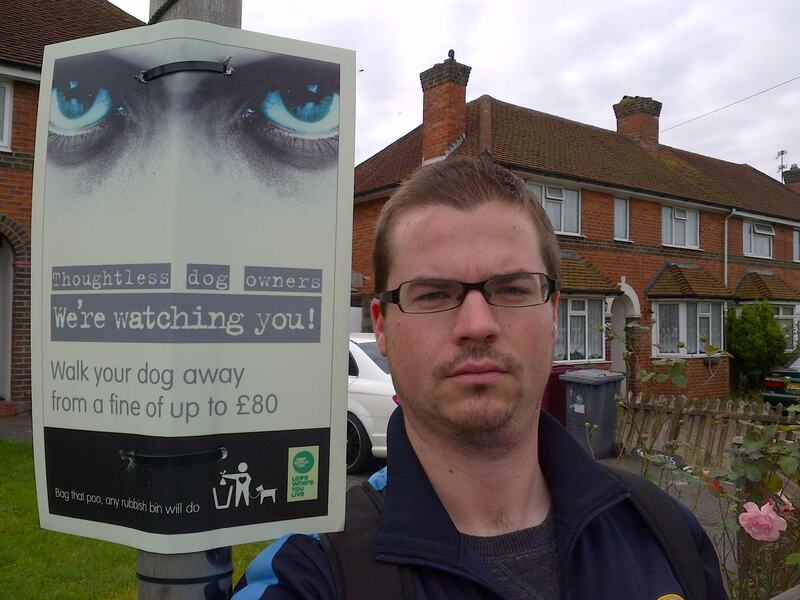 The campaign will include “Clean it up” signs being displayed on lampposts, local shops being asked to display posters and the removal of any dog waste using a pavement stencil & flour. The best way to make the Council aware of any dog mess is by downloading and using the Love Clean Reading app highlighted elsewhere on this site. 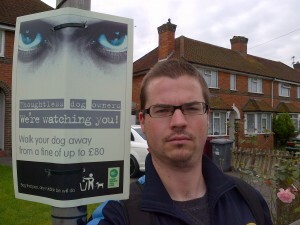 This entry was posted in Ward News and tagged Dog fouling on August 20, 2014 by Ashley Pearce.